We travel the globe to find you balls-related happenings no matter where they are, and our most recent jaunt takes us to Vietnam for the annual phet ball festival. 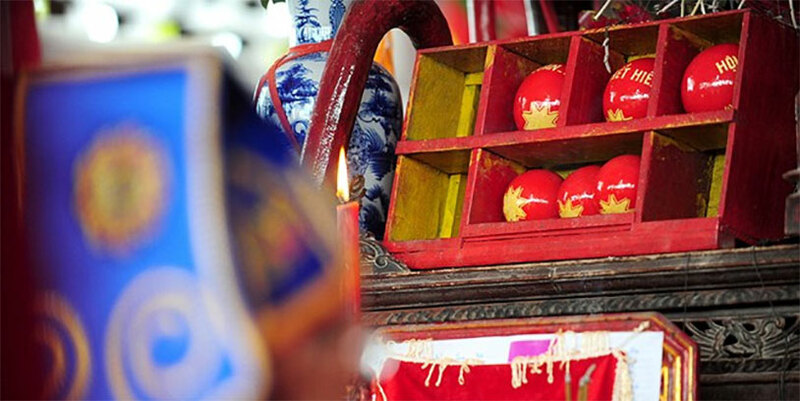 This historic event involves six lucky spheres and was instituted to honor a brave female general who battled back Chinese invaders in Vietnam. Like many such events, it’s now filtered through layers of symbolism but no less cool for it. Here’s the basic deal with the phet ball festival: it happens in the northern province of Phu Tho every Spring. Two teams are selected – this year they’ll come from the Hien Quang commune – and given long wooden sticks with crooks at the end. The six balls are placed into an arena of around 1,000 square yards and then the two teams, each of which can boast hundreds or even thousands of players, battle it out for the balls. Gaining possession of one of them is said to bring honor and prosperity to your family and home village, so the competition is fierce. Even though the players are divided into teams, it’s really every man for himself and things can get pretty violent. This year’s festival is set to take place on February 26 – 28. Read more at Vietnam Plus.